Creative gift ideas trump spending power this Christmas! British families spend on average about £700 on presents for Christmas. Personalisation and creative gift ideas are booming. Style expert Ann Green has put together a list of Christmas gifts available online. The gift ideas range from refined decorative ideas, the practical to family friendly games. They all have in common, that they can be personalised with own images. Exotic, feminine, raw and functional are according to style agency bora.herke the overarching trends for Christmas. With modern online tools Christmas presents can now be personalised to offer individual gifts in fashionable styles. To sweeten the 24 days to the Holy night Fotoinsight offer photo Advent calendars with 24 festively wrapped chocolate balls and your own photograph. Christmas cards with your own interesting or funny pictures are much more personal. 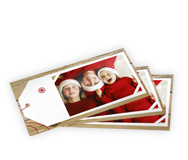 Photo services like FotoInsight print photo greeting cards usually in sets of ten as picture postcards or folding greeting cards (with image and text on-print on all four pages) with their envelopes. There can hardly be a more obvious Christmas gift idea than a personalised photo calendar, the person receiving a calendar will need a new one every year. Photo book specialist Printing-1 now also offers personalised calendars in different sizes on matt paper or with elegant high gloss coating. 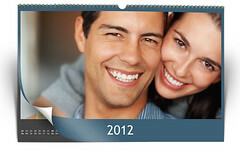 With family photographs or holiday snaps it is easy to make photo calendars as a very personal gift ideas. Photographic calendars can be printed in mat or glossy finish in various sizes and formats as kitchens or wall calendars or for the desktop, with space for appointments or with the professional finish on dot-free photographic paper. A photo diary is always a popular gift option as the New Year nears. Some photo print services offer diaries with personalised picture cover, at FotoInsight even the inner pages can be personalised with own photographs and texts. With two customisable photo pages per month a diary is personal and keeps fond memories alive. There is also the option of a school diary for younger people, which following the academic calendar. With pictures from a family or holiday there will be a story to tell. The ideal medium to preserve these memories are photo books, printed with personal photographs. Some pictures need space; they will look great as a poster or as a laminated and framed deco block. Laminating posters instead of putting them under a glass frame avoids light reflections, but still protects the colour prints from humidity and UV-light so that several generations should be able to enjoy the poster prints. Both, FotoInsight’s website and it’s Designer software includes Collage Posters and the Collage Canvas feature, to create a print composed of up to 98 images. Your photo as a stylish Christmas gift. A real, quality photographic paper poster print is applied with fully transparent foil on a sheet of up to 1 cm deep acrylic glass. As light passes through the side of the acrylic it illuminates the image, giving it additional depth and colour brilliance. The quality processing suits it’s use in photographic exhibitions and due to its excellent visual appeal, acrylic prints are used in prestigious art galleries and exhibitions. 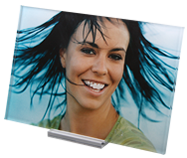 For the Aluminium Dibond a photograph is printed onto foil, which is laminated onto an aluminium dibond panel. This is becoming increasingly popular with photographers to exhibit their work. 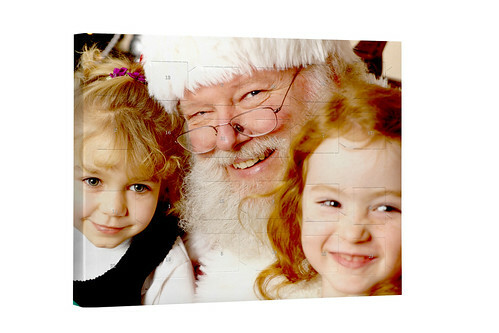 The images get a shiny finish and are presented on a robust, coated composite panel, withstanding even water splashes. A great way to make an elegant, long lasting print. A fine present for those with space on their walls is a photo canvas print, Especially photographs which were post edited with artistic effects that look great as an art print. ‘Think Big!’ photo canvas prints are available in online photo shops in a range of different formats and sizes from 20×30 cm to 90×130 cm. FotoInsight offers photo canvas prints with the option of a floating Havana frame. With this frame the fold over the edge of the wood frame is visible and the 3D effect of a mounted canvas preserved. With its simple and clear elegance, the acrylic photo stand is welcome in every home or office. The photo behind an acrylic glass sheet with acrylic foot is available in the sizes 10×15 cm (6″x4″) and 13×18 cm (7″x5″). Always popular, simple and economical is a photo mug. As a German beer mug with a a photograph or a panorama print on a coffee mug (with coloured inner side), it only needs one digital image to make a practical present personal. 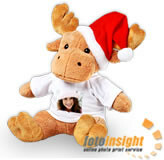 When giving a soft toy with your own photograph, at Christmas it has to be a “photo moose” (with a red cap). The picture pairs game Photo Memo is ideal for families, as it suits children from the age of 4 years young and unites families and is a real memory trainer. 25 of your own photos (family, holidays, et al) suffice for an individual gift (£12.99 / €13.99 +p&p), which families can play over the holidays. 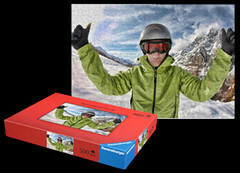 Photo puzzles too are popular during long winter nights. When the family gets together over the holidays, playing card games is great fun. A deck of cards with a picture on-print of a loved one on the reverse is an ideal present and guarantees a good hand in Blackjack, Poker and other card games! Recommendation: Buy two decks of photo cards to play canasta!